By buying this product you'll earn up to 106 Rewards points. 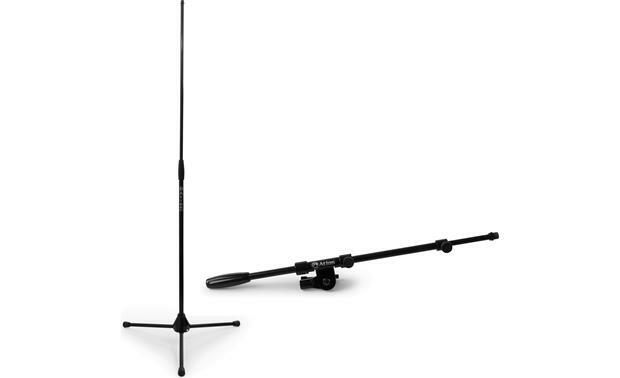 The Atlas TB3664 does what a good microphone stand should — gives you plenty of reliable positioning options, and then packs away tidily. Adjustment on this sleek, ebony stand is simple; the three-piece clutch makes extension from 36" to 64" smooth and quick, while the included boom arm adjusts from 22" to 37" in length. When your gig is done, the TB3664 will fit nicely with the rest of your gear, thanks to its collapsible tripod base. boom arm adjustable from 22" to 37"
Searches related to the Atlas TB3664 Platinum Design Series 64" tripod stand with boom.